During 1932 Ernst Heinkel set out to build a streamlined aeroplane to fly faster than the American Lockheed "Orion". Designed by the Gunter brothers the radical HE 70 "Blitz" (lightning) was an all metal, retractable undercarriage monoplane. The cantilever wing was fitted with flaps and featured an "elliptical" planform. The complex aluminium alloy structure was designed for minimum drag and was flush riveted all over. The HE 70 had a top speed of 234 mph (377 km/h) which was 70 mph faster than the Orion. The Blitz soon established many world speed records in its class. At the time, only a few specialised racing planes were flying faster, more to the point the HE 70 was considerably faster than all of the fighters then in service with the British and French air forces. This was a wake-up call to the RAF, who despached a Rolls-Royce representative to Germany to purchase a HE 70, to be fitted with a R.R. Kestrel engine. Back in England this aircraft became a test bed for the development of the new Rolls Royce racing engine, as used in the Schneider Cup seaplanes, into what became the R.R. Merlin. That is the official story. At this time the British had purchased a number of advanced foreign aeroplanes such as the Northrop Gamma, which were subject to testing and analysis. With this background the purchase of the HE 70 would provide the British with a lot more than a suitable high performance airframe to develop the Merlin engine. Elliptical planform wings were not new, but until then the complex shape had been limited to wooden structures. Flush riveted structures were also new, but no other aircraft combined such complex aerodynamic form with the latest in aluminium alloy structures. The British could have adapted other airframes to the new engine, or even designed an aircraft as a test bed, using established structural techniques. The purchase of the HE 70 was obviously with the aim of learning more from this advanced design. At this time the Vickers Supermarine company was engaged in the design of a new high speed interceptor fighter, to be powered by the new Merlin engine. The original design by R.J. Mitchell included six machine guns mounted within a straight tapered wing. At the time Ben Shenstone was responsible for Aerodynamics at Supermarine. In later years Shenstone became chief engineer at British Airways and in his spare time head of OSTIV, the Scientific Gliding Organisation, where we were in regular correspondence. Later we met when he came to Australia as president of the Royal Aeronautical Society. Although I tried to quiz him about the HE 70 and the early Spitfire design, Shenstone stuck to the party line: that the elliptical wing for the Spitfire came only as a consequence of the RAF requirement for eight machine guns! Back in Germany the Heinkel company was also developing the HE 111 twin engined airliner and the HE 112 fighter, both with elliptical wing planforms. In the event the HE 112 missed out to the Bf 109 for a production contract. The complex elliptical wing was both heavier and required more man-hours for production. The Bf 109 was lighter, faster and easier to produce. The HE 111 was more successful and a bomber variant went into mass production for the new Luftwaffe. Although later models reverted to straight tapered wings*. Aerodynamicists had learned to provide the theoretical best elliptical lift distribution from a tapered wing by simply "washing out" or building in a negative incidence at the wing tips, relative to the root. Thus the elliptical wing disappeared in Germany, but was picked up in Britain and in the USA, where the Spitfire, Typhoon, Tempest, Lancer and Thunderbolt kept the distinctive shape in the air. * Reference Ernst Heinkel "HE 100" - Hutchinson, London, 1956. In Part 1, I described the introduction of the revolutionary HE-70 "Blitz" and its link to the Supermarine Spitfire. Back in Germany a certain Adolf Hitler had come to power, and this presented Ernst Heinkel with a number of opportunities, in the shape of military orders for the new Luftwaffe - and also problems, with the anti-Semitic politics of the Nazi party. The HE-118 was a dive bomber development of the "Blitz" which lost out to the JU-87. Likewise the HE-112 fighter was inferior to the Bf-109, but the HE-111 bomber went into large-scale production. All these designs retained the distinctive elliptical wing planform, although the HE-111 was later redesigned with straight tapered wings. Fred David was then a young engineer working for Heinkel. Because of Fred's Jewish background, Ernst Heinkel arranged for him to become Heinkel's engineering representative in Japan, where Heinkel had long been providing aeroplanes for the Japanese Navy, which were manufactured under license by local Japanese companies. Fred's first project was a hurried redesign of the HE-112 to suit the Japanese, including a radial engine and a fixed undercarriage. This went into service as the Mitsubishi A5M, later code-named "Claude". 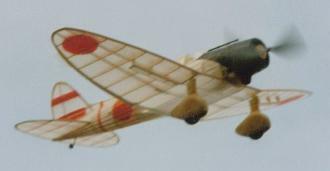 With its open cockpit and fixed undercarriage it was very much a stop-gap design, as the Mitsubishi concern soon afterwards brought out the radical Type O "Zero" fighter to replace it. Nevertheless the "Claude" played an important part in the China war and saw some action in the early phase of the war in the Pacific. On board the carrier Shoho in the Coral Sea battle, they were unable to stop SBDs from the Yorktown sinking their ship. Fred David's next project was the conversion of the Heinkel dive bomber into the Aichi Type 99. Once more the Japanese Navy specified a radial engine and a fixed spatted undercarriage. Junkers-style external "park bench" dive brakes were also adopted, the Aichi concern holding licenses from Junkers as well as Heinkel. With a 1,000hp radial engine the Type 99 "Val" had a better performance than the original Heinkel design and proved to be a deadly ship killer, responsible for most of the early Japanese victories in the first phase of the Pacific war. Meanwhile the feared "Kempi-tai" secret police began to take rather a close interest in the young engineer from Germany. Questions about his family background caused Fred to depart in haste. Fred ended up in Australia just as war broke out, where he found himself behind barbed wire in an internment camp. As a German citizen, Fred was now an enemy alien in a country at war with Germany. Next came the Japanese attack in the Pacific, the loss of Singapore and the bombing of Darwin. Desperate times breed desperate measures. Somehow the Managing Director of the Commonwealth Aircraft Corporation, Lawrence Wackett (later Sir Lawrence) became aware of Fred's existence and qualifications. Within days Fred was installed as chief engineer at CAC in charge of an urgent and top-secret project, to design another stop-gap fighter, desperately needed to defend Australia against the Japanese. Utilising the engine from the Hudson and many parts from the Wirraway the resulting CAC Boomerang outperformed the "Claude" and the "Val" and could even compete with the Zero at low altitudes. During 1943 comparative fighter trials were carried out between various allied fighters and a captured Zero in Australia. The pilot in a CAC Boomerang was Sqn. Ldr. Roy Goon, who reported that at low altitudes the Boomerang could out turn the Zero, as long as speed was maintained. The Boomerang excelled at low altitude work and with a rugged airframe and plenty of ammunition, became a useful ground attack aircraft. Fred David continued as chief CAC designer throughout the war, working on top secret projects, despite having to report to the police each week as a registered "enemy alien"! After the war he became an Australian citizen and chief of the Aerodynamics Research Laboratories, and incidentally my boss, as I was then a humble assistant in the wind tunnel. Later still, I learned to fly and Roy Goon checked me out for solo in a DHC-1 Chipmunk. A local historian, and another noted RAAF pilot, Keith Meggs is working on a biography of Fred David and his book should be available soon.